Skylon is an unpiloted, reuseable spaceplane intended to provide inexpensive and reliable access to space. Currently in proof-of-concept phase, the vehicle will take approximately 10 years to develop and will be capable of transporting 12 tonnes of cargo into space. The total development program will cost about $10 billion. 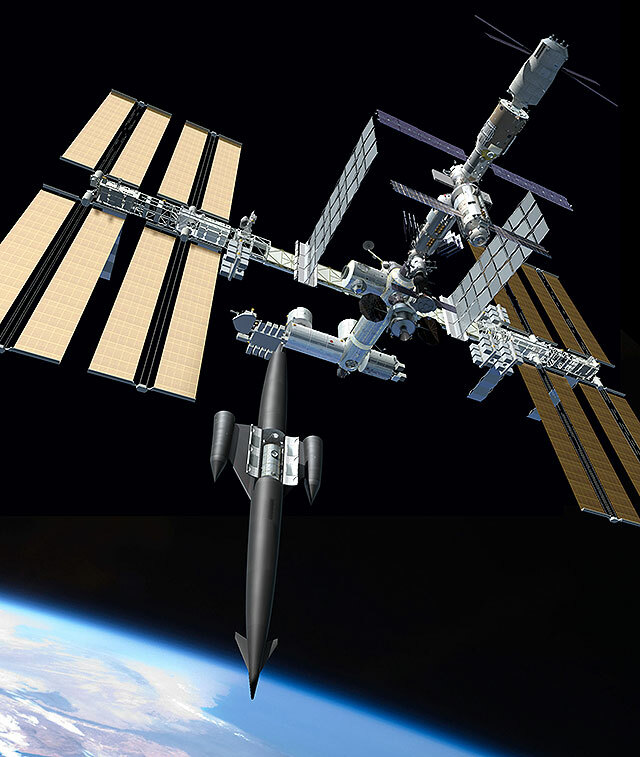 In order to support future space-based activities, new designs of the revised passenger module, unpressurised attachment and docking port for SKYLON have been completed. Click here to see the new images. REL are in the process of designing and commencing manufacture of specialist production machinery for its manufacturing facility. This machinery will be used for surface preparation, tube inspection and brazing. This month REL welcomed Melanie Manning as Senior Production Controller and Nicola Higgs as Production Controller to work at our manufacturing facility. JBIS has included a paper in its recent publication entitled ‘Design and Testing of the Contra-Rotating Turbine for the Scimitar Precooled Mach 5 Cruise Engine’ which our Technical Director, Richard Varvill, worked on in collaboration with three other European engineers. Read the paper in the PDF Documents section. Reaction Engines Ltd was created to design and develop advanced space transport and propulsion systems. By applying a combination of established physical principles and innovative engineering design, we intend to develop a range of products that will enable the commercial exploitation of space. Reaction Engines Ltd is located at the Culham Science Centre in Oxfordshire where it has its main offices and heat exchanger research facility. The company also has several other manufacturing and test premises in the area. For information about Reaction Engines Limited, our history and our experience, please continue to our Company Background. GMT+8, 2019-4-22 04:38 , Processed in 0.358801 second(s), 24 queries , Gzip On.